The House Special Investigative Committee on Oversight had a public hearing Thursday morning that last more than three hours before they broke for lunch and reconvened to continuing reading the cross-examination of K.S. The hearing started off with Rep. Jay Barnes, chairman of the committee, and Ed Dowd, private counsel of Gov. Eric Greitens, getting into a heated conversation. Barnes once again addressed the issue of why the committee looked at photos in a closed session. The photos were originally brought up because the defense asked K.S. — the woman with whom Greitens engaged in an extramarital affair with — if pictures posted to a fetish website were her. The committee voted unanimously on Wednesday the photos were not of K.S. Barnes called the defenses line of questioning “disgusting.” Dowd defended the questioning by saying they only asked if it was her and that the other questions were in order to identify her. Barnes then questioned Dowd, asking why he has not turned over the evidence the committee has asked for — documents that the St. Louis Circuit Court Attorney’s Office were unable to turnover because they didn’t have possession of them. Dowd responded by saying the volume two transcript has now been turned over. The heated exchange continued as they argued semantics over the issuance of another subpoena to K.S. On the request of Dowd, the committee sent a subpoena to K.S. to get her to testify for the sixth time. Dowd contacted the attorney for KS and told him they were not the ones asking for K.S. to appear. “Since you are not going to call her, should we retract out subpoena to Witness 1?” Barnes asked Dowd. “I think you should do whatever you want to do,” Dowd replied. The combative tone carried over into the testimony of Watkins, the attorney for P.S. who is the ex-husband of K.S. It was through that portion of the hearing that Barnes revealed he has spoken to the FBI. He contacted the federal agency following accusations that the governor’s campaign sought contributions from foreign donors. 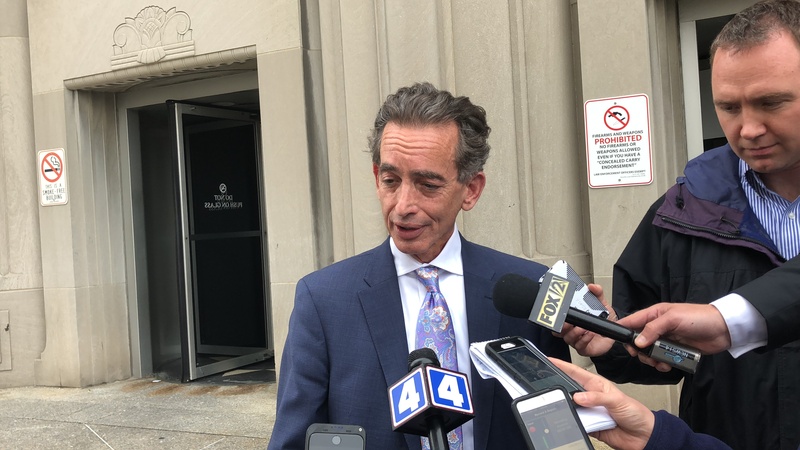 Barnes said he spoke with the FBI following the testimony of Michael Hafner, a former campaign staffer for Greitens, to the committee. Hafner said, under oath, that the Greitens campaign discussed how to conceal a donor’s identity through an LLC. He added the campaign also discussed raising money through foreign donors, a practice prohibited by federal law. It was through reaching out to the FBI on that matter that Barnes first learned of payments Watkins received in early January 2018. The St. Louis attorney who has been representing P.S. since September 2016 has said he also has been in contact with the FBI. The first contact was made in late 2016. Watkins told the committee that the $100,000 he received from Scott Faughn, publisher of The Missouri Times, was delivered on January 8, 2018 and January 9, 2018 — both in $50,000 increments. Faughn delivered the first installment and the second installment was delivered by someone named “Skyler.” Watkins testified that he did not personally take possession of the second installment and would be unable to identify the person who delivered it. Watkins had mentioned at this point that he has to read people lips because his hearing isn’t the best following treatment for cancer several years ago. He was adamant that he did not sell the recordings to Faughn but that Faughn was eager to to listen to them and have them. Watkins testified that after having Faughn sign a nondisclosure agreement after he gave him the recordings.